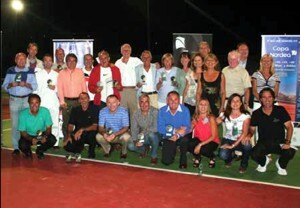 The successful completion of the 1st Senior ITF Â“COPA NORDEAÂ” at Bel-Air Tennis Club. The matches took place over the five days of the 16th to the 20th of May with almost one hundred participants of different nationalities. They competed in the categories Ladies and Mens 40+ 50+ 60+ in singles and doubles. The quality of the tennis and the sportsmanship on display by all players was excellent during all the week. The tournament came to a close with a delicious barbecue that was attended by the players and many guests with over one hundred people enjoying the great atmosphere that accompanied the presentation of the trophies and prizes donated by Pierre & Vacance and the main sponsor of the tournament NORDEA Bank. Do you visit the Sunday market? Do you visit Sabinillas? Do you live in Sabinillas? Then you want to know that the Ramos Restaurant Chiringuito is now open for summer. ItÂ’s fresh, itÂ’s clean and you know the food has to be good. Enjoy your day at the beach with good seats, umbrellas, with food and drinks right at hand. 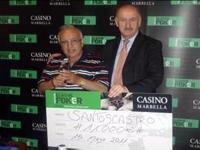 At the end of a heads-up lasting more than one hour, Santos Castro from CÃ¡diz is declared winner of the Marbella Classic Poker 4th leg played at the Marbella Casino.